The descriptions of posts are as available in the PDM University portal. All Fees quoted are in Indian Rupees.  PDM University reserves the right to change the fees as per BOG directions. Your payment will normally reach the PDM University account within two working days. PDM University is not responsible for any delay in receipt of fee payment due to incorrect account number or incorrect personal details. The PDM University also cannot accept liability if payment is refused or declined by the credit/ debit card supplier for any reason. In no event will the PDM University be liable for any damages whatsoever arising out of the use, inability to use, or the results of use of this site, any websites linked to this site, or the materials or information contained at any or all such sites, whether based on warranty, contract, tort or any other legal theory and whether or not advised of the possibility of such damages.